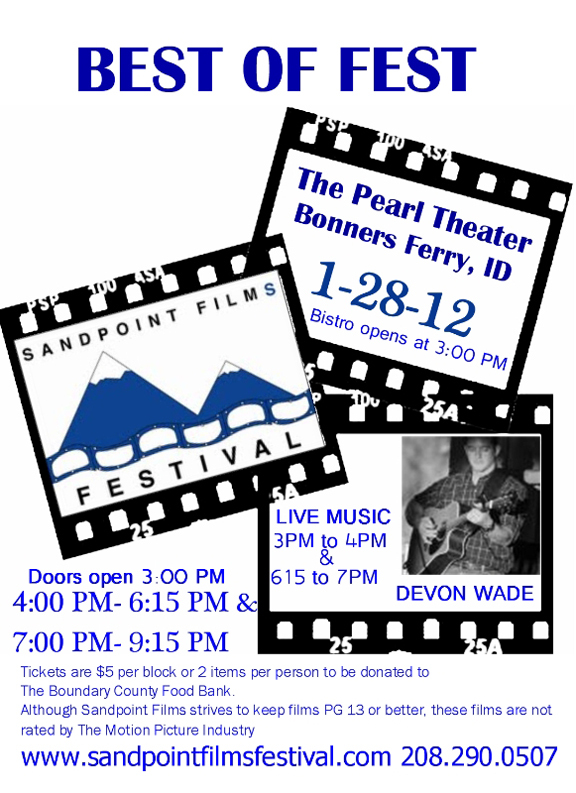 Sandpoint Films will be presenting BEST OF FEST at The Pearl Theater in Bonners January 28, 2012. Best of Fest is a selection of short films screened at Sandpoint Films Festival in Sandpoint 2010 & 2011. We would like to extend two free tickets to The Boundary County Food Bank for each block 4:00PM to 6:00 PM & 7:00 PM to 9:00 PM.